Sahid Memorial Hospital announces vacancy for the post ofMarketing Officer and X-ray Technician. 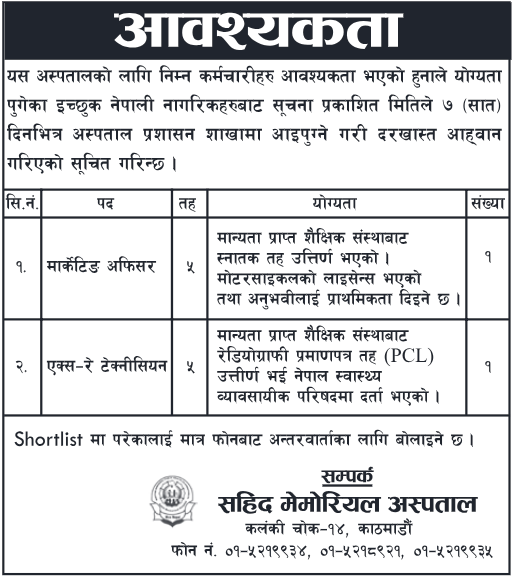 Qualified and interested candidates can apply for the post. Submit Your cv along with cover letter to the Sahid Memorial Hospital, Kalanki Chowk.